Not a pattern I've ever tied or used in th UK. What sizes are most useful.... 12,14,16? Boisker, looks good to me, but it is the trout that make the final decision. I wouldn't go any smaller than 12 as these things are quite big. I would even consider a 10. Nice work for a first attempt Matt! Hell iv given up and just buy them now . 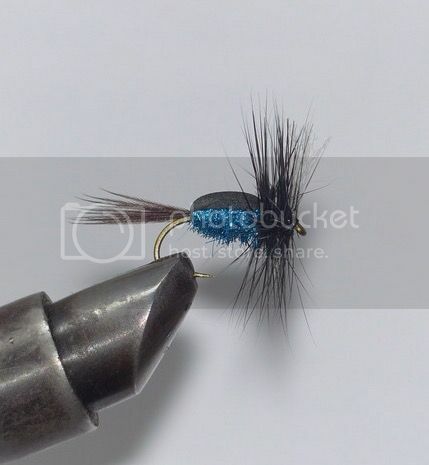 Iv found that the humpy style floats a lot higher and therefore is easier to see, so if you can tie some of those up. Oh yea and peacock / metallic green is also a great colour. You will find that in the middle of summer a box full of those is about all you need on a back country river.